Too Saucy: It's election time again? Oy, I just got a robocall from Mike Bloomberg assuring me he supports Pres. Obama's stimulus plan. Yes, Mike the Democrat turned Republican turned Independent (but really always a Dem) is running for a third term. 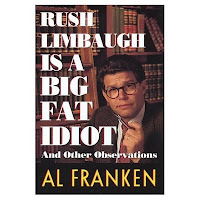 Now if only the GOP bozo in Minnesota would just admit the reality that he lost and gracefully step aside for new Senator Al Franken. Wait theres an election this year? Are you sure? I think there are some off year elections - usually every year there's some.